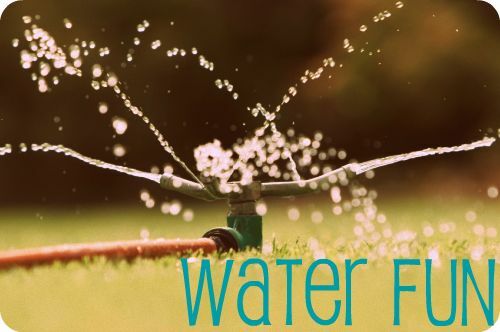 These water games will help beat the heat and pass the time this summer! Even if you don't have access to a pool you can keep cool! Each person tapes a tissue on their back. The object is to squirt the other players tissue so that it fall off from being wet. The last player with a tissue taped to their back wins! Each team starting very close to each other tosses the balloon back and forth. The person who can keep dry and keep their balloon from breaking the longest wins! Fill the large bucket with water, decide how long you want the obstacle course and have the kids line up with the smaller buckets on the ground, have them run back and forth, filling the small cups with water and running to their smaller bucket to fill it. The first person or team with a full bucket wins! What to do with that water when you are done? Use it to water outdoor plants! Did you like the water games page? Check out the outdoor fun section.